If I talk to you about “strategic planning,” you might nod your head sagely and admit that it seems like a good thing for big businesses to attempt. But many of my clients also believe that they can’t afford the time or money for such a process. So when I talk to clients about “business planning,” I call it “Business Re-Visioning” because it sounds more affordable in time and money . . . and actually it is. The process I recommend can be completed by most business owners over several days in about four 1-hr sessions. No one has a crystal ball, but at least once a year everyone should take the time to review assumptions, align resources, and communicate goals. A process that I like to use with my professional services clients is sparing of their time; helps them size opportunities, risks, needed investment and marketing campaigns; and positions them well for success. I have put together a presentation on this process. When I went out for Chinese food today with friends, my “fortune” in the dessert cookie was an interesting piece of wisdom: “The keys to a successful future lie in the past.” Sometimes those slips of paper in the cookies are silly; this one was right on. How did the previous period—year, quarter, whatever—turn out? What revenue, profit, or unit production/sales did you experience? What segments accounted for that “market activity”—who are you selling to? If you invested in your business (or spent money), how did you spend it? When? Who are you currently selling to? Why are they buying from you? 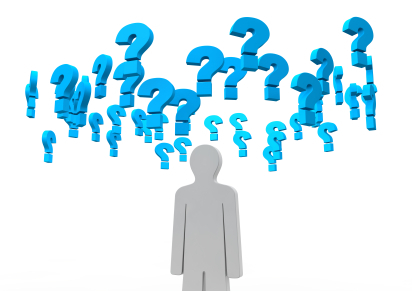 Answering these questions will tell you how you are positioned in the minds of your customers. Is this the positioning you want? Do you need to tweak your message or how you’re delivering it to create a better impression in the minds of your customers? How does your product or service compare with similar product or services offered by your competition? Are there unique aspects to your offerings that distinguish them from your competition? One of my clients told me about his recent process in selecting a caterer for an event. Three vendors were identified that had similar offerings and pricing, and the vendor was selected on the basis of its superior food, which my client felt would make a positive lasting impression at his event. Do you know what criteria your customers will use to evaluate you and other service providers in the year ahead? Are you sure your differentiating elements are ones your customers truly care about? Are there additional services/products that your existing customers would buy from you if you offered them? Are there some services/products you could offer that would help you acquire NEW customers, who might then also become customers for your existing products and services? Keep in mind that you don’t have to make or originate the service or product you sell. This is the most important step of your re-visioning process. Everything you do going forward is driven off your goals for the future of your enterprise. What is your vision for the future of your business? How do you want to grow it or change it in the months ahead? What is your vision for what you will sell, to whom and for what price? Who will you partner with, and from whom will you buy services and products? How will you become more efficient, more profitable, and better known in the months ahead? Your thinking process may begin with identifying some trends, but to be able to determine if you successfully achieve your goals, those goals must be measurable, specific, and achievable and linked to a timeframe. I like to discuss my business goals with my colleagues, business mentors, and even my family. They all have contributed to helping me refine my goals and avoid “pot holes” en-route. “Wishing doesn’t make it so.” I think that might be a song lyric, but it is certainly a truism in marketing. If you want to change the status quo, you must intervene in the market in some way. Now that you have goals and a clear idea of the directions you want to move in, how will you effect the changes you want to make in your business and its market? I look at the mix of marketing interventions as being particularly relevant for service marketers. Again, we have written about the importance of planning for and investing in a mix of marketing interventions. You have a clear idea of what you want to accomplish in the next year. You have completed a marketing plan and have confirmed that you have the financial and staff resources necessary to move forward. Now it is important to create a unified “marketing and Business calendar “that will function as the central place where you book all of your planned initiatives. Since you will be engaging in many simultaneous activities, coordination is essential. And everything will perform as expected, right? Nah. There are bound to be hiccups and problems. I recently redid my website . We used data collected from Google Analytics to refine our key words and adjust many features. When I do email marketing, my provider, www.swiftpage.com can tell me what phrases used in headlines or subject lines are more effective in getting readers to click on the content and read it. They can even tell me which “targeted readers” interacted with the content more than others, and which ones I should call to follow up with. If you invest in some kind of marketing interventions—email marketing, new website, postcards, telemarketing—carefully consider and set up a process for measuring what works and what doesn’t. You’ll need this information next year when you take stock of your business and “Re-vision” your future.